Vanilla Christmas Cookies Bath Cocktail- Rich buttery whipped cream, vanilla bean with melted marshmallow cream icing all piled onto rich butter cookies. 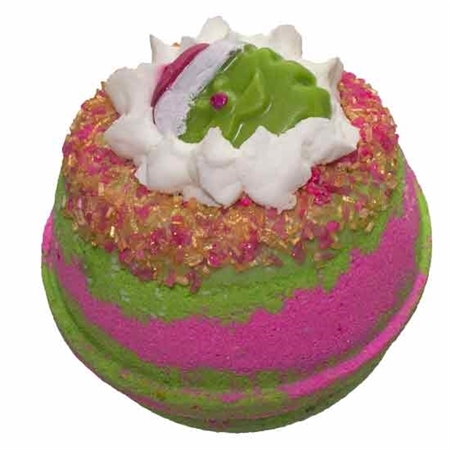 A bath cocktail consists of a bath bomb that is filled with bubble bath piping and topped off with a cocoa butter bath melt. This cocktail creates a foaming and extra moisturizing bath.